So what do we have here? More evidence that I can’t control my spending, perhaps? Most certainly, but hey, when beauty products are concerned you have to treat yo self every once in a while, amiright? I did a bit of purchasing since last payday, mostly because of some discount codes floating around, so let’s have a lil’ look at what I bought, shall we? 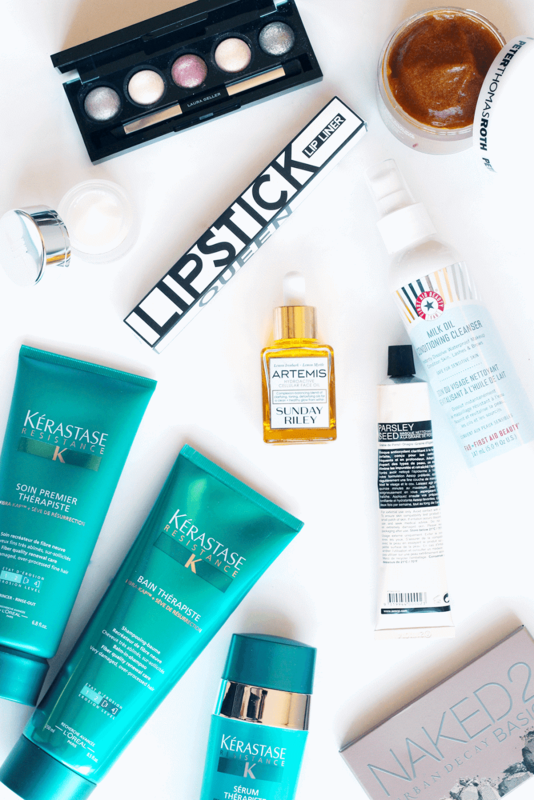 Starting with skincare, I picked up some new bits (I blame you Cult Beauty!) and one little repurchase. I thought I could live without my Zelens Triple Action Eye Cream, but it turns out I can’t. This thing has holy grail status for being the only eye cream that genuinely actually improves my dark circles! Next, in a bid to improve my skin, I invested in two face masks. The first is Peter Thomas Roth Pumpkin Enzyme Mask, as it’s been on my wishlist for ages and I needed me some brightening action and the second iiiis the Aesop Parsley Seed Facial Cleansing Masque for getting into those pores and clearing everything out! I needed a new cleanser that wasn’t a balm (as I’m balm obsessed) so I remembered Mrs Hirons (aka skincare queen) mention the First Aid Beauty Milk Oil Conditioning Cleanser and thought it sounded perfect! I’m excited to try it out. Finally for skincare, my favourite part of my entire haul: Sunday Riley Artemis Face Oil. Oh. mah. lawd. Expect a more in depth review on this, as it’s honestly amazing! 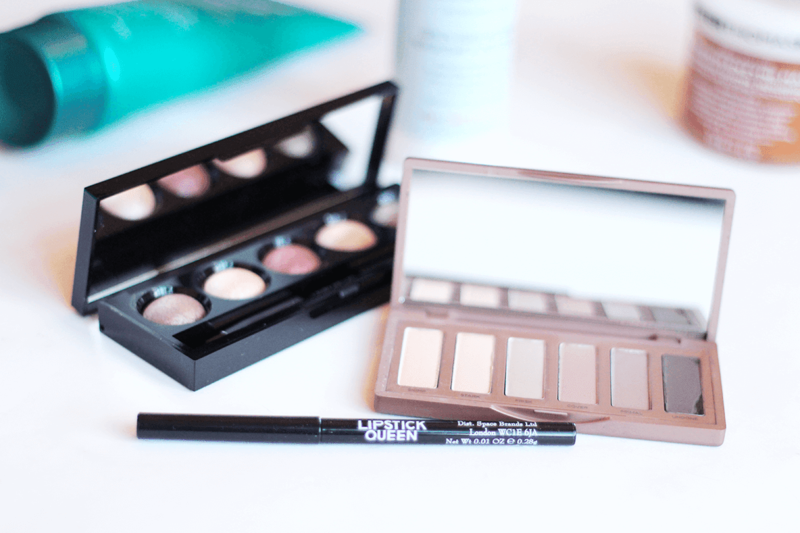 For makeup, I was late to the hype and picked to the Urban Decay Naked Basics 2 Palette as I do love me a cool toned eyeshadow. I also snapped up the Laura Geller The Wearables Eyeshadow Palette, as there’s five gorgeous baked shadows in there with the perfect amount of metal-esque shimmer and, again, so cheap! I eventually picked up the Lipstick Queen Invisible Lip Liner, after it being in the back of my mind for over a year! It works as a waxy base under every single lipstick – no more desperately trying to find a matching pencil! Finally, I actually bought some new haircare for the first time in ages. 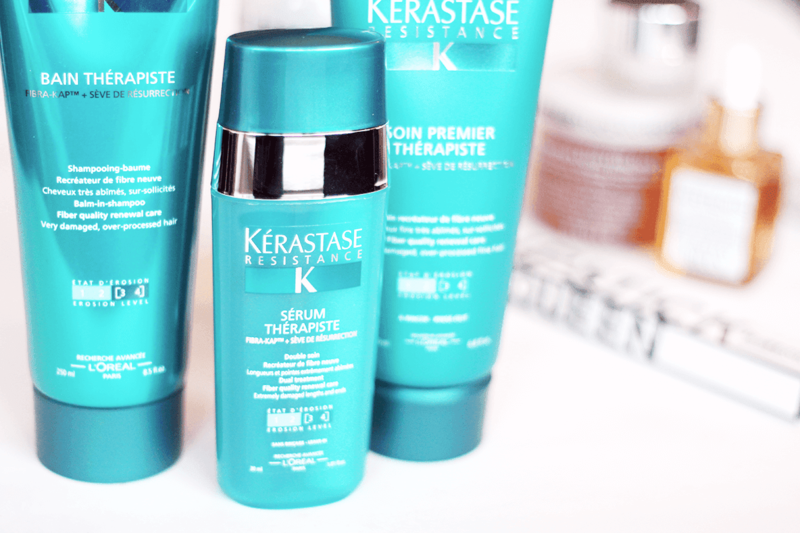 My hairdresser recommended this range to me, so I bought the Kerastase Resistance Therapiste Shampoo, Kerastase Resistance Therapiste Conditioner and the Kerastase Resistance Therapiste Serum. The formula is designed to strengthen hair, which I desperately need as my hair is very fine and quite weak! I’m excited to get them into my haircare routine. Have you been buying anything recently?